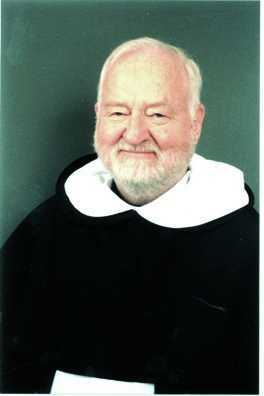 Earlier today Dominican Father Kevin O’Rourke, 84, died following being stricken by a stroke. Father Kevin was a member of the Dominican Province of Saint Albert the Great and a well-known professor and author on healthcare ethics. Most recently Father Kevin was a member of the Saint Pius V Priory in Chicago. May God be merciful to Father Kevin. Saints Dominic, Thomas Aquinas and Catherine of Siena, pray for us. Several days ago the Dominican Friars of Saint Catherine of Siena Priory (NYC) elected Father Juan-Diego Brunetta, OP, as their new religious superior (their Father Prior). Tonight at Mass, the new Conventual Prior made the Profession of Faith and took the Oath of Fidelity as is assuming an ecclesial office of the Church. Until recently, Father Juan-Diego was the Director of the Catholic Information Service at the Knights of Columbus (New Haven, CT). He earned the Doctorate in Canon Law at the Catholic University of America. May the Lord and His Blessed Mother bless Father Juan-Diego’s new ministry. 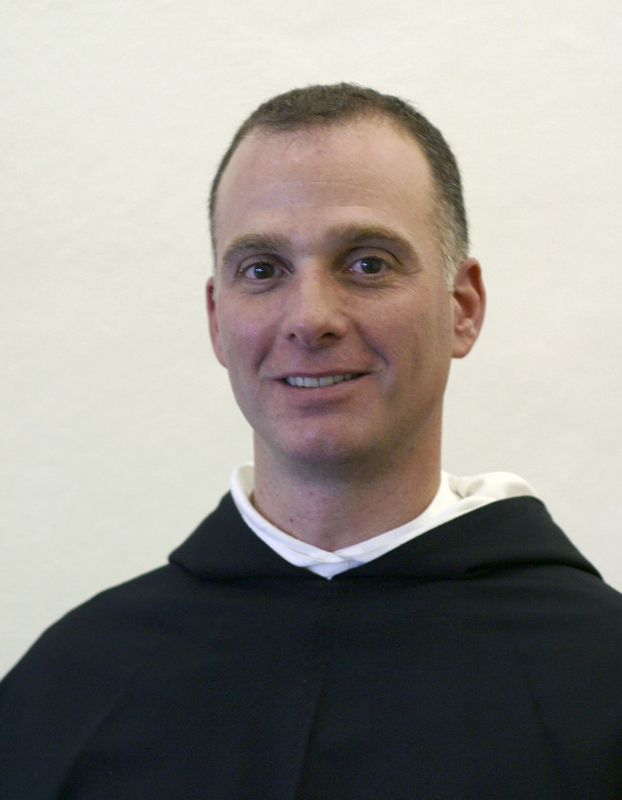 Besides being the Father Prior of the Dominican Friars, he’ll also assist Father Jordan in parochial ministry at Saint Catherine of Siena Church and in the Dominican Friars Healthcare Ministry. We will celebrate the ancient and beautiful liturgy of Solemn First Vespers for All Saints, officiated by our special guest, Father Uwe Michael Lang, C.O. Father Bruno Shah, O.P. 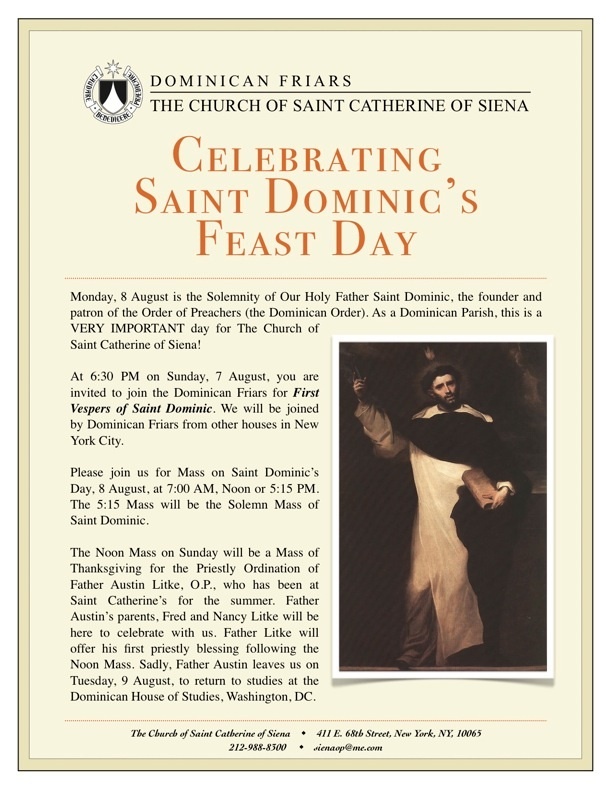 from Saint Vincent Ferrer, and Father Michael Barone from the archdiocese of Newark, will assist in the liturgical celebration. Gregorian chant and polyphonic settings will be provided by a professional choir led by David J. Hughes, Organist & Choirmaster at Saint Mary’s Church, Norwalk, CT.
About this time of each year I look at the numbers of who professed vows, entered religious life and/or ordained of a select group of religious orders of the mixed, apostolic life and monasteries since Autumn 2010. “The Eucharist is the source of that ecclesial unity for which Jesus prayed on the eve of his passion: “Father… that they also may be one in us, so that the world may believe that you have sent me” (Jn 17:21). 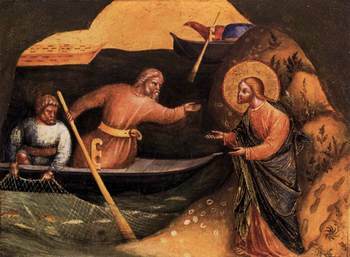 The intense communion favors the growth of generous vocations at the service of the Church: the heart of the believer, filled with divine love, is moved to dedicate itself wholly to the cause of the Kingdom” (World Day of Prayer for Vocation, 2007). No vocation makes sense without the Eucharist and the ecclesial unity the Eucharist creates. All vocations, are therefore born from an intense desire for unity in Jesus Christ, the Eucharistic Lord. St Meinrad Archabbey (St Meinrad, IN): 1 novice was given the habit. Conception Abbey (Conception, MO): 1 monk was ordained to the Order of Deacon; 2 novices were invested. 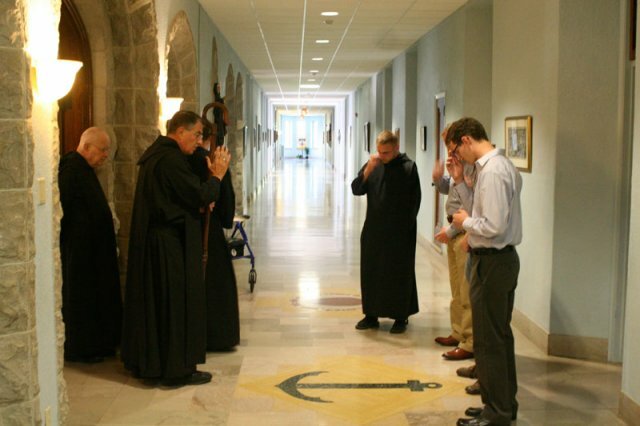 St Joseph’s Abbey Covington, LA): 2 professed simple vows; 1 entered the novitiate. Subiaco Abbey (Subiaco, AK): 2 monks professed simple vows; 2 entered the novitiate and 3 men entering the postulancy. Our Lady of Glastonbury Abbey (Hingham, MA): 1 entered the novitiate. Prince of Peace Abbey (Oceanside, CA): 1 monk professed solemn vows. Mount Michael Abbey (Elkhorn, NE): 1 monk ordained to the Order of Deacon and 1 monk ordained to the Order of Priest. Monastero di San Benedetto (Norcia, Italy): 1 monk professed solemn vows, one ordained to the Order of Deacon and is expected to be ordained to the Priesthood on September 24. The monastery now has 8 solemnly professed monks. 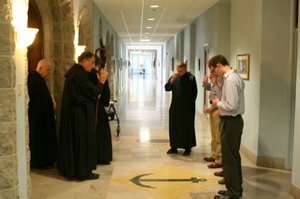 St Louis Abbey (St Louis, MO): 1 postulant entered. The monks also re-elected Abbot Thomas for a 3rd 8-year term of service. St Vincent Archabbey (Latrobe, PA): 3 monks profess solemn vows; 4 profess simple vows; 7 junior monks renew their temporary vows; 2 monks were ordained deacons. St John’s Abbey (Collegeville, MN): 1 monk professed solemn vows; 2 professed simple vows; 3 invested as novices; 13 monks in formation. Belmont Abbey (Our Lady Help of Christians, Charlotte, NC): 1 monk solemnly professed vows. St Benedict’s Abbey (Atchison, KS): 1 monk professed solemn vows, 2 professed simple vows and 3 were admitted as postulants. St Mary’s Abbey (Morristown, NJ): 1 monk professed solemn vows, 3 professed simple vows; 1 novice entered. St Bernard’s Abbey (Cullman, AL): 1 ordained a priest, 1 solemn vows, 1 made simple profession and 1 received into the postulancy. St Martin’s Abbey (Lacey, WA): 1 monk professed solemn vows and 1 monk was ordained priest. Abbey of Saint Walburga (Colorado): simply professed 2 nuns in 2011 who join 3 other junior nuns. Benedictines of Mary, Queen of Apostles (Kansas City-St Joseph, MO) had 3 profess first vows and 2 enter the novitiate. These sisters follow the traditional Liturgy. St Dominic’s Monastery (Linden, VA): 4 novices, 3 postulants, 2 aspirants. This community is a very young community of women living the vocation of an enclosed Dominican Nun. The Dominican nuns of Summit, NJ, the Monastery of Our Lady of the Rosary, there are 8 nuns in formation: 3 temporary professed, 4 novices, 1 postulant. The Carmelite Monks (Cody, WY) had 2 enter the novitiate, a perpetual profession and 2 professed temporary vows. Daylesford Abbey (Paoli, PA): 1 ordained to the priesthood (December 2010) and 1 ordained priest (September 2011); 1 simple profession. St Michael’s Abbey (Silverado, CA): 1 canon was ordained to the priesthood and 2 were ordained deacon; 1 professed solemn vows. Holy Theophany Monastery (Olympia, WA): a novice will be invested with the habit in November. This is monastery is only a few years old and lives according to the Byzantine tradition. The Capuchin friars of St Mary’s Province (New York-New England) simply professed 2 friars; there will be 5 friars professing solemn vows; 3 were admitted to the novitiate and 4 to the postulancy. The Capuchin Friars of the Saint Augustine Province simply professed 4 friars. The Capuchin Friars of the Province of Saint Conrad (Mid-America) 2 novices entered, 1 friar was ordained a deacon and 1 friar was ordained a priest. 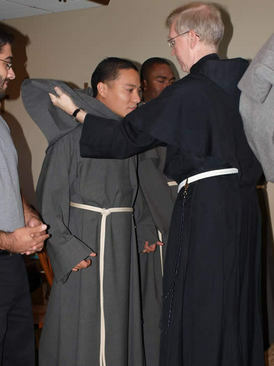 Conventual Franciscans: several provinces sponsor a common novitiate in Mishawaka, IN: 5 friars professed simple vows; 7 men received the habit. Franciscan Friars of the Renewal: 4 friars professed final vows; 5 professed simple vows and 5 postulants entered. Franciscan Friars, Holy Name Province: 2 were ordained priests; 2 professed solemn vows, 3 entered the novitiate; 5 became postulants. Congregation of Holy Cross (Notre Dame, IN): 1 professed final vows in the USA, 5 professed final vows in East Africa; 6 professed simple vows in the USA. The same American who professed final vows was ordained to the Order of Deacon. The Dominicans of the Province of St Joseph: 16 professed simple vows, 9 friars professed solemn vows and 5 ordained priests, 13 entered the novitiate. The Dominicans of the Province of St Albert the Great: 7 professed simple vows; 6 men were admitted to the novitiate. Apostles of the Sacred Heart of Jesus (Hamden, CT): 1 sister professed perptual vows; 2 entered the first year of the novitiate; joining 3 second year novices; and there are 3 junior professed sisters. Benedictine Sisters of Perpetual Adoration (Clyde, MO): 1 sister was received who’s transferring from another Benedictine congregation of sisters. Sisters of St Benedict (Ferdinand, IN): 2 professed solemn vows; there’s 1 novice and 1 postulant. You may want to read The Sisters’ blog. The Dominican Sisters of Saint Cecilia (Nashville): 7 sisters professed perpetual profession; 15 novices made their first profession; 11 sisters renewed their vows for 2 years; 24 postulants were admitted to the novitiate. The sisters have a convent in Australia. 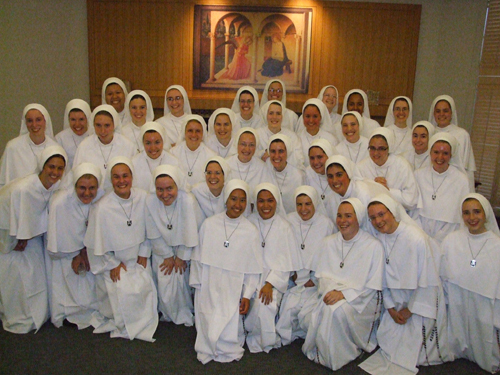 Sisters of Mary, Mother of the Eucharist (Ann Arbor, MI): 4 sisters professed perpetual vows; 7 professed simple vow; 18 received the habit for the 1st year of novitiate with a total of 36 novices. The Franciscan Sisters of the Renewal had 3 sisters enter the postulancy. Franciscan Sisters of the Eucharist (Meriden, CT) 1 sister professed final vows; 1 professed simple vows; there’s 1 novice; 1 sister transferred to the Congregation. The Sisters of St Francis of the Martyr St George (Alton, IL) 23 junior sisters renewed their vows; 2 professed simple vows, 3 entered the postulant program, 3 entered the 1st year novitiate and 3 moved to the 2nd year novitiate. Sisters of Life: 5 sisters profess first vows.